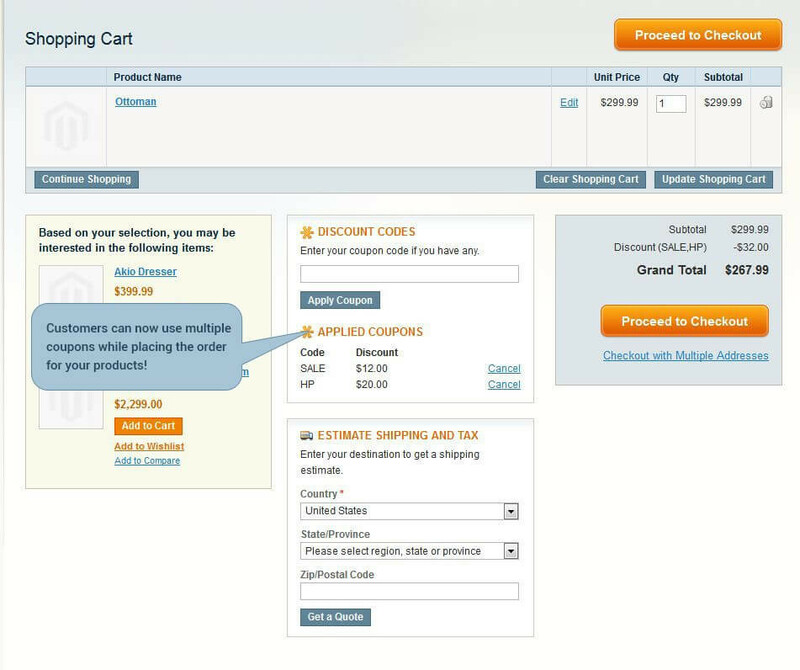 Multiple Coupons Extension for Magento provides a special feature for customers that enables them to utilize multiple coupons on a single purchase. 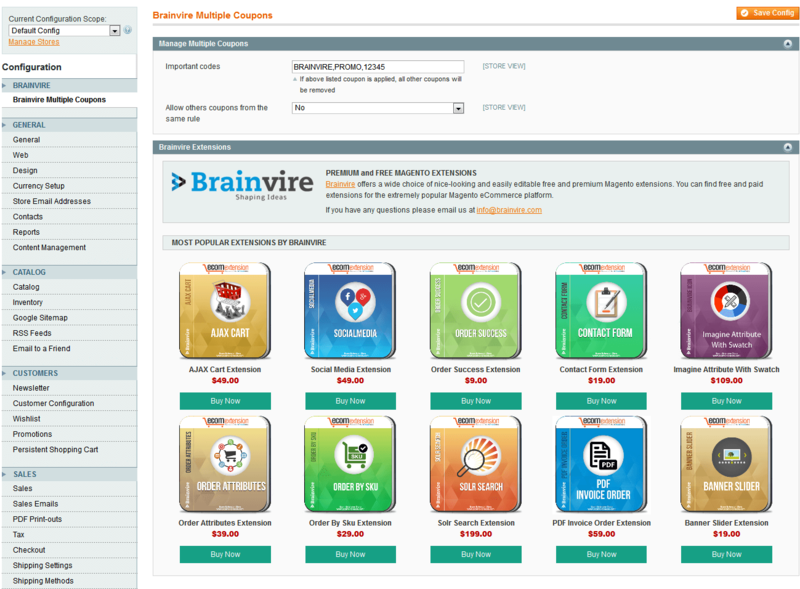 Multiple coupons extension enables customers to buy one product using two or more discount coupons! Shoppers just love discounts and giving them this additional benefit of using extra coupons on a single purchase definitely increases customer satisfaction. Customers now need not buy another product to utilize their additional discount coupons. The customer is happy to get additional benefit and improves sales for your business! After all a happy customer is a loyal customer! With Our Multiple Coupon Extension for Magento, you can delight your customers and boost your sales! The Extension made as per Magento programming guidelines. No technical skills or manual configuration required. Customer can add multiple coupon option on Cart page. User will able to check price per coupon into front end. User can apply coupon code in checkout review page. Completely responsive design which support all devices. The capacity to utilize coupon codes which can't be utilized together with different codes. This Extension also supports latest release of Magento i.e. 1.9 CE and 1.14 EE.